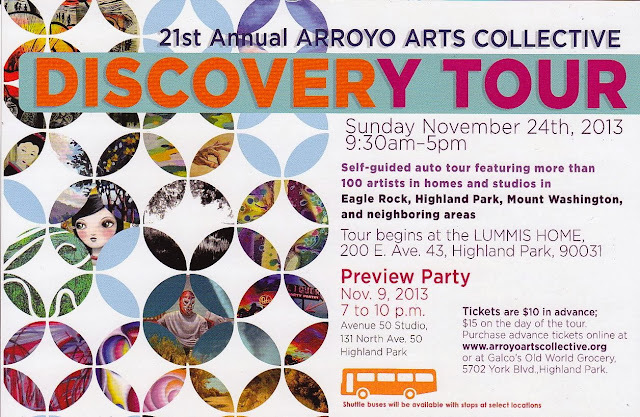 On Sunday, November 24th, from 9:30am-5pm, the Arroyo Arts Collective will be holding its 21st Annual Discovery Tour. Cactus Gallery has participated for the last 8 years. This year my HOME will be on the tour! 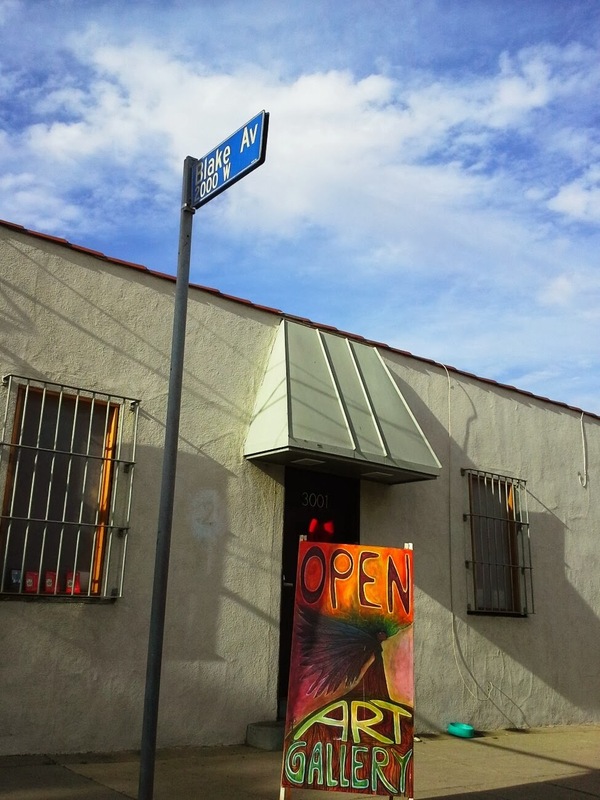 This unique event allows you access to over 100 artist's studios in the Highland Park, Mount Washington Area, Eagle Rock, Montecito Heights and Glassell Park areas. 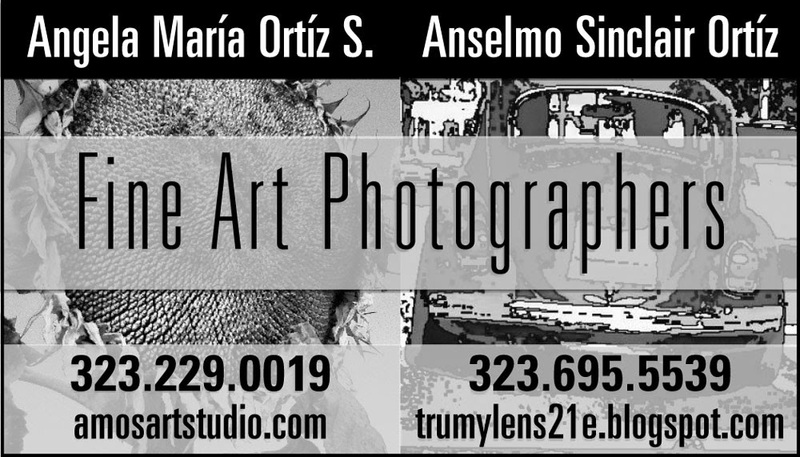 Featured artists are photographers Angela Maria Ortiz S. and Anselmo Ortiz. We will also have artwork by Lena Sayadian, Walt Hall, Ulla Anobile, Patricia Krebs, Mavis Leahy, Rasa Jadzeviciene, Traci Gunn, Kelly Thompson, Janet Olenik, Lacey Bryant, Jaclyn Alderete, Bill Wheeler, Cristian Vega Rojo, Ashley Fisher, Jazmin Molina and more. For pre-sale information, or for address/directions, contact Sandra Mastroianni at semastroianni70@yahoo.com. 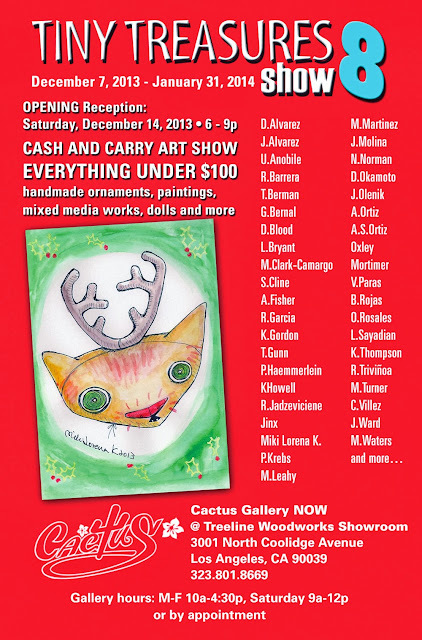 Cactus Gallery presents "Tiny Treasures" the 8th annual miniatures show. With more than 40 artists participating we are sure you will find something you love! All artwork is small scale and priced under $100. GIVE THE GIFT OF ART! SUPPORT SMALL BUSINESS! SUPPORT A LIVING ARTIST! Cactus Gallery presents "A Winter Wonderland" featuring the art of Walt Hall. For 7 years, collectors have been flocking to Cactus Gallery to scoop up Walt Hall's paintings on distressed wood planks. 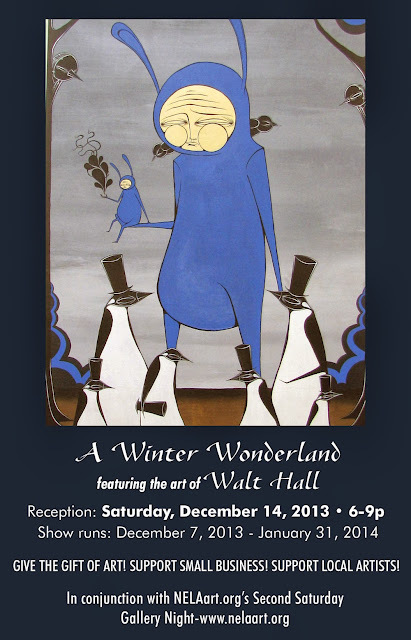 Walt Hall's paintings and mixed media works bring together images and thoughts of other worlds. Add to your collection by owning a piece by one of L.A.'s most active artists. Gallery hours: M-F 10a-4:30p, Saturday 9a-12p or by appointment.